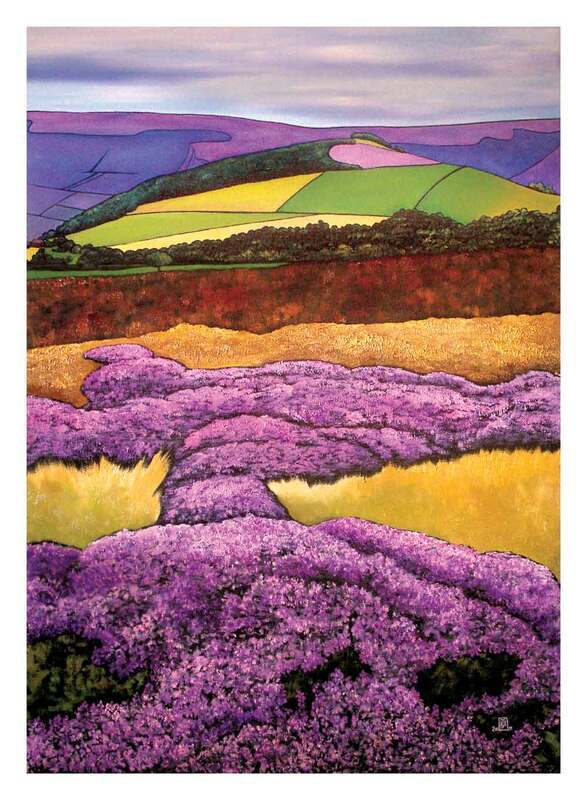 Heather Moors. 20x28cm. 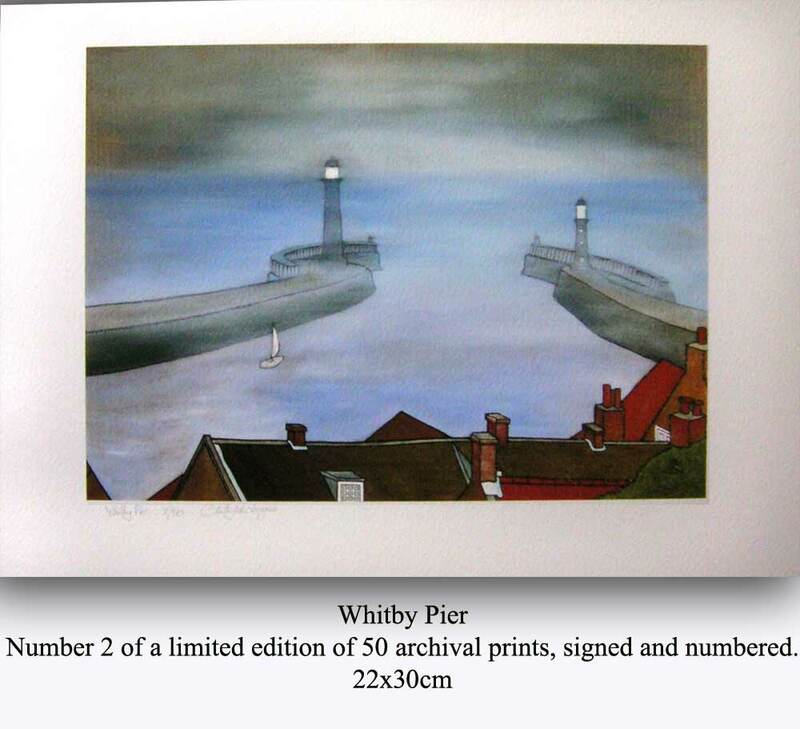 Limited edition of 125 signed and numbered archival prints. £40 unmounted. 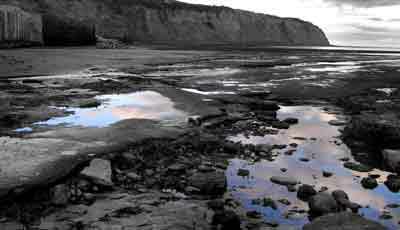 Ebbing Tide II, Robin Hood’s Bay. 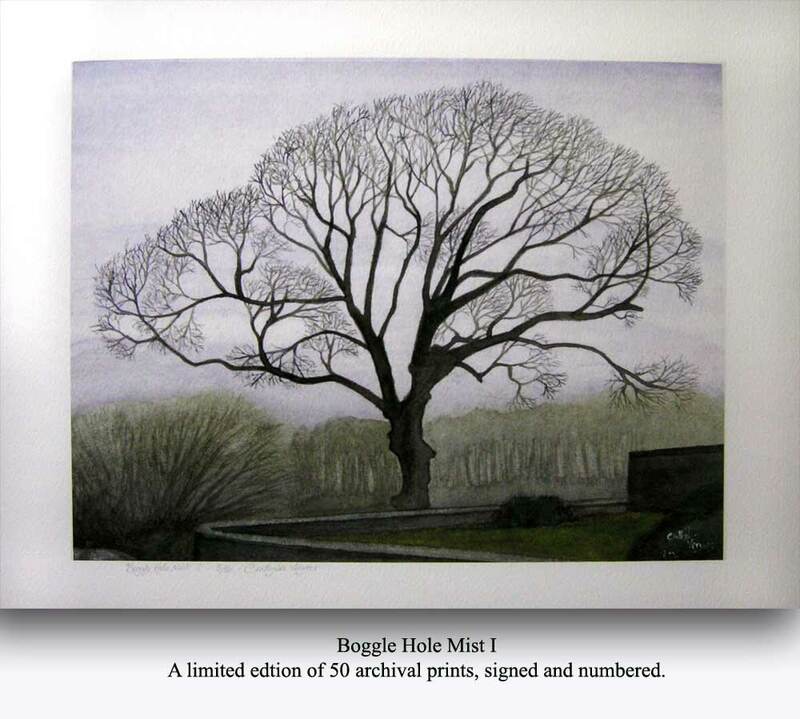 Limited edition of 50 archival quality giclee prints, signed and numbered. 24x50cm print in 50x70cm mount (unframed): £80. 24x50cm print, unmounted: £70. NB.The first 33 prints have been sold. 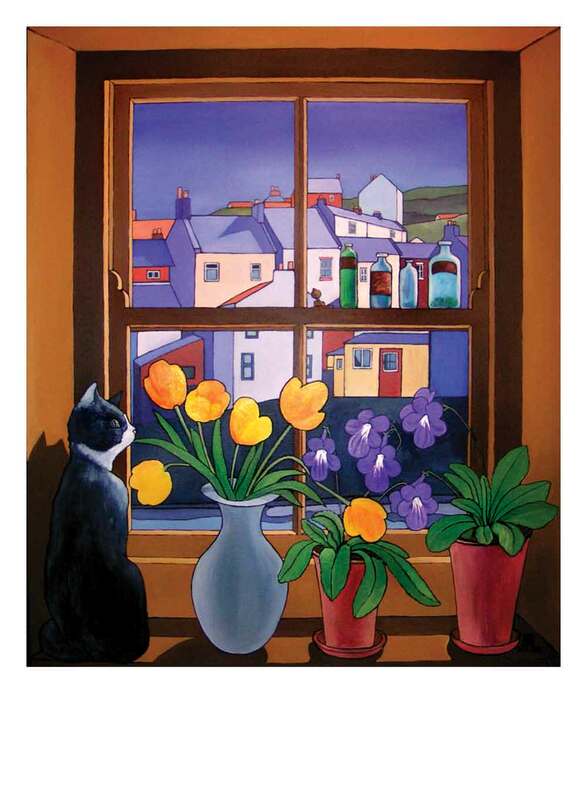 Window on Staithes. 20×24 cm. Limited edition of 50 signed and numbered archival prints. £40 unmounted. Archival prints are available through galleries, or on order from me. 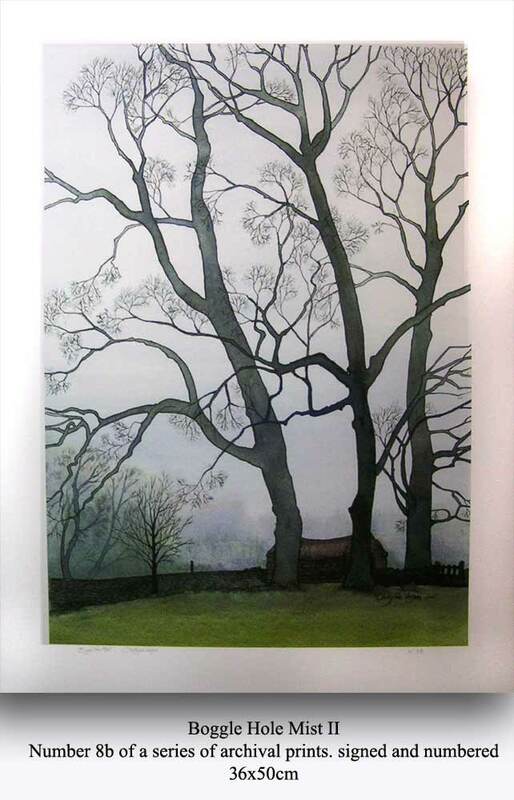 If you’d like a print which you can’t see here, please phone 01287 643030 to enquire. unmounted print. No2/50: 38x50cm: £60; No3/50: 27x36cm: £50; No5/50: 20x26cm: £40. 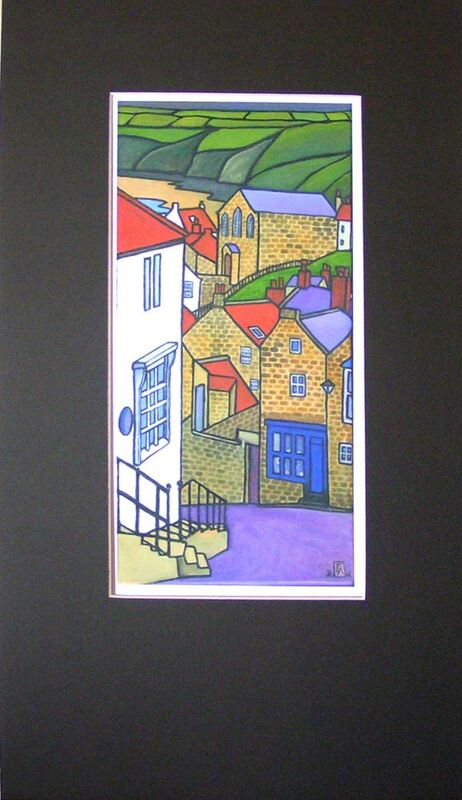 Northside, Staithes. A4 print. £10 + postage for an unmounted print. NB This one is not an archival print. “Clouds”, Ness Point, Robin Hood’s Bay. 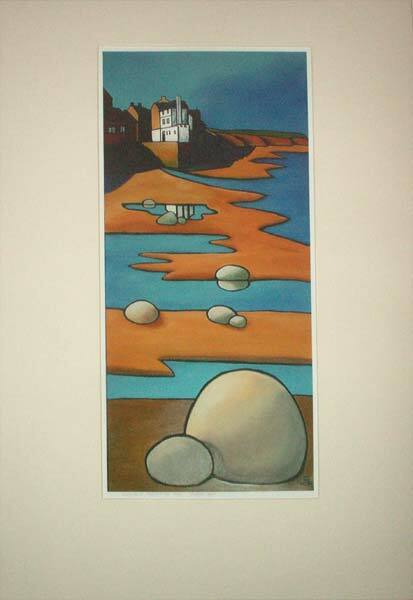 Digital image.one of a series of archival quality giclee prints, signed and numbered. 31x50cm print in a 50x70cm mount (unframed): £70. “Annie”, Robin Hood’s Bay. No 7 of a limited edition of 50 archival prints, signed and numbered. 18x38cm print in 35x50cm antique white mount: £65. 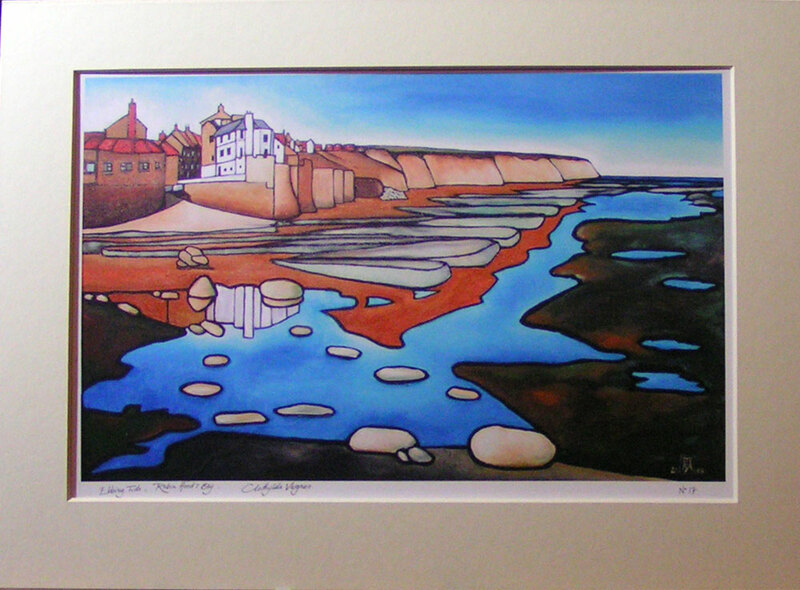 “Ebbing Tide”, Robin Hood’s Bay. No 28 of an unlimited edition of archival prints, signed and numbered. 20x32cm print in 30x40cm antique white mount: £50. 20x32cm print unmounted: £40. 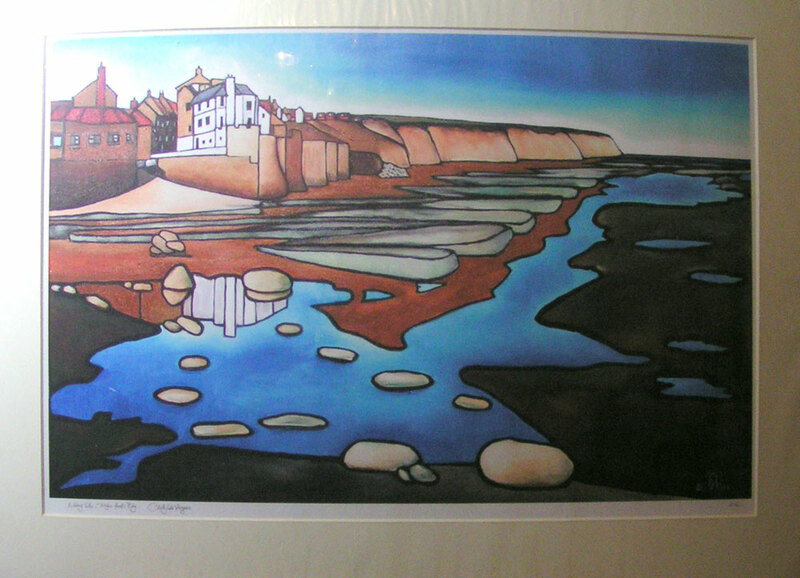 “Ebbing Tide”, Robin Hood’s Bay. No 26 of an unlimited edition of archival prints, signed and numbered. 30x50cm print in 50x70cm antique white mount: £75. 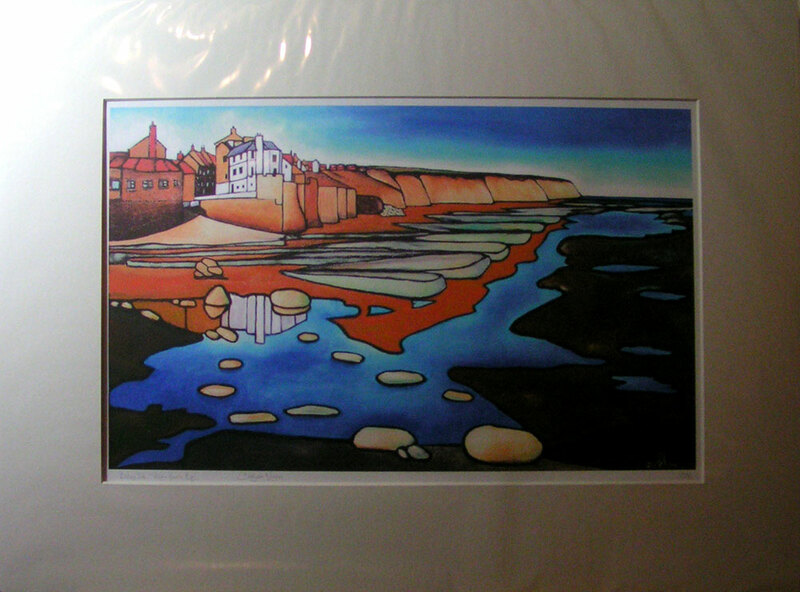 “Ebbing Tide”, Robin Hood’s Bay. No 12 of an unlimited edition of archival prints, signed and numbered. 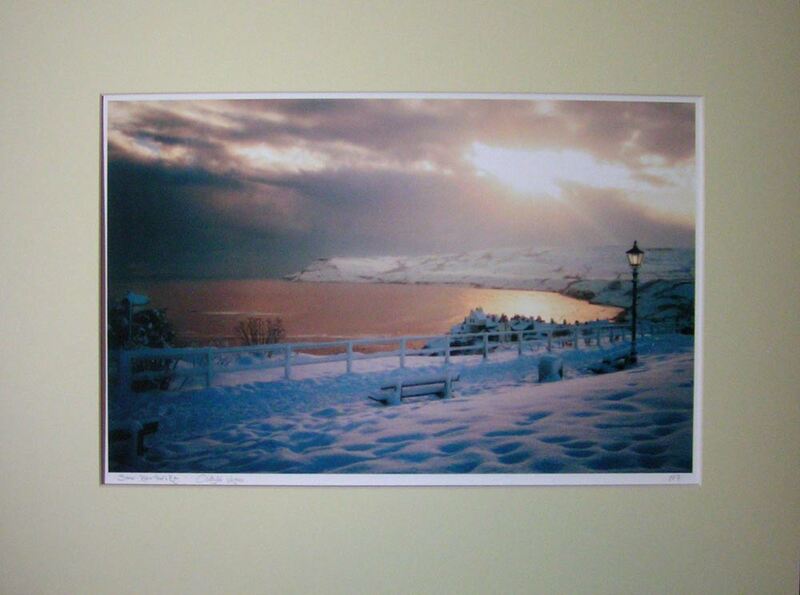 38x60cm print in 50x70cm antique white mount: £75. 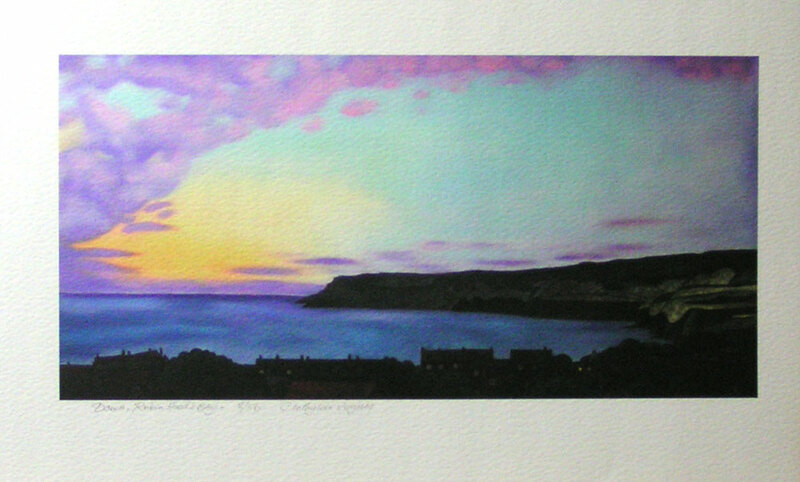 “Dawn”, Robin Hood’s Bay. No 2 of a limited edition of 50 archival prints, signed and numbered. 15x30cm print in 30x40cm antique white mount: £60. 15x30cm print unmounted: £50. 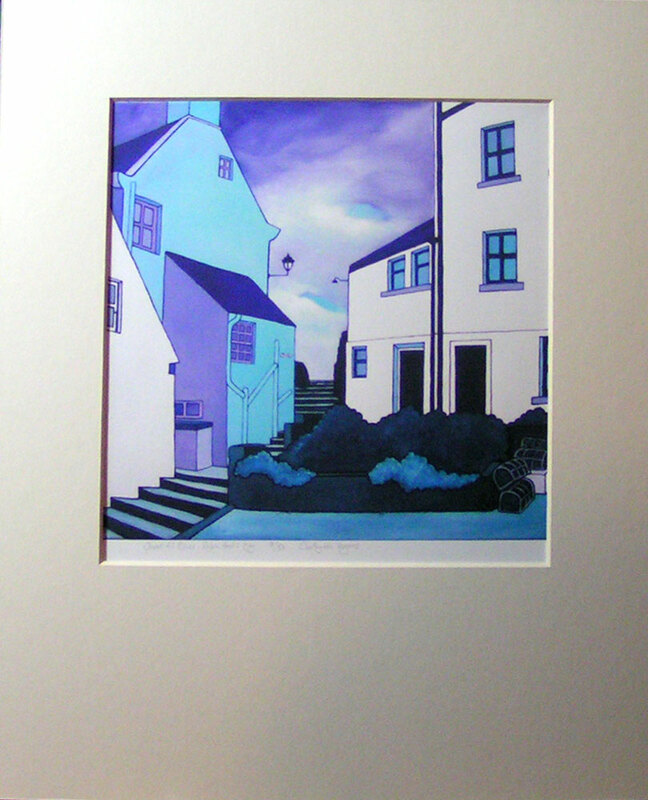 “Covet Hill Blues”, Robin Hood’s Bay. No 9 of a limited edition of 50 archival prints, signed and numbered. 20x20cm print in 30x37cm antique white mount: £50. 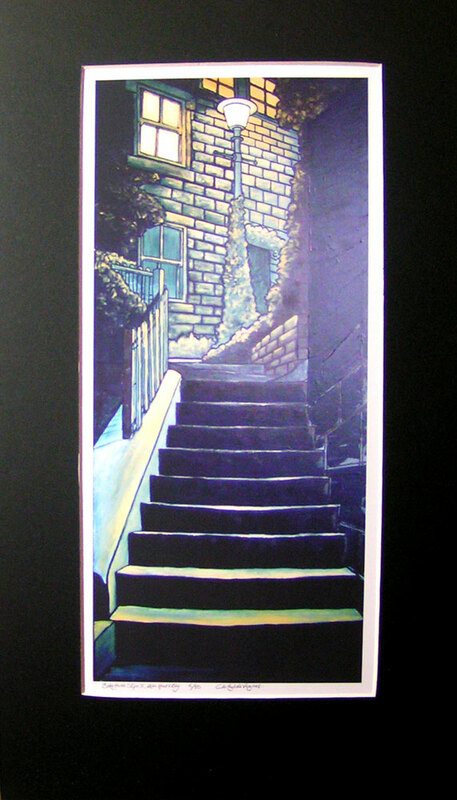 “BakeHouse Steps II”, Robin Hood’s Bay. No10 of a limited edition of 50 archival prints, signed and numbered. 16x35cm print in 30x50cm antique white mount: £60. 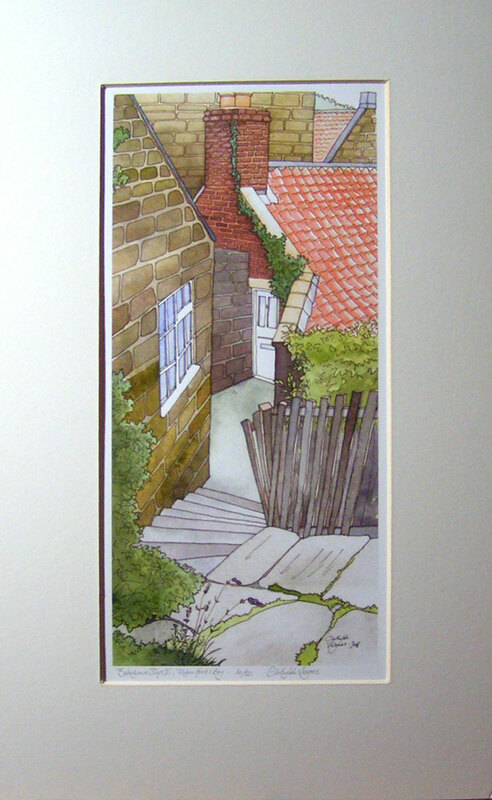 “BakeHouse Steps”, Robin Hood’s Bay. No 6 of a limited edition of 50 archival prints, signed and numbered. 17x40cm print in 30x55cm black mount: £60. 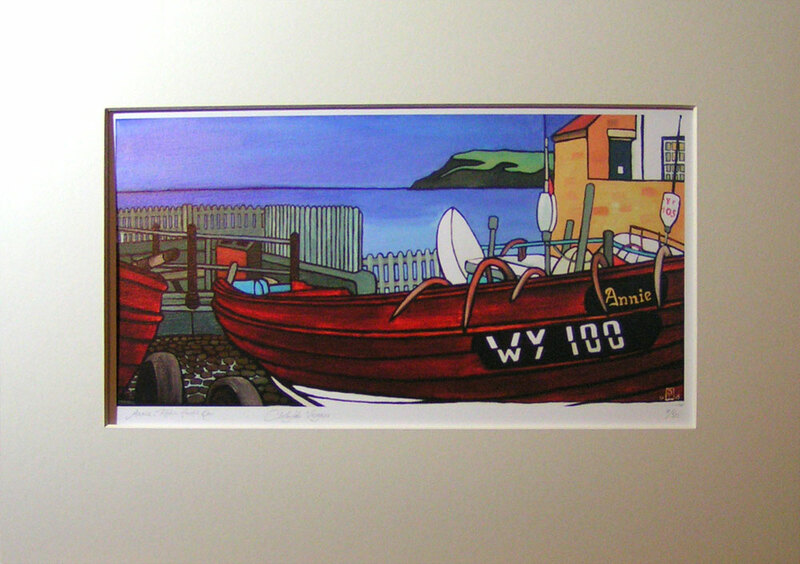 “Bank & Beyond IV”, Robin Hood’s Bay. No 10 of a limited edition of 50 archival prints, signed and numbered. 20x41cm print in 40x70cm sepia mount: £75. 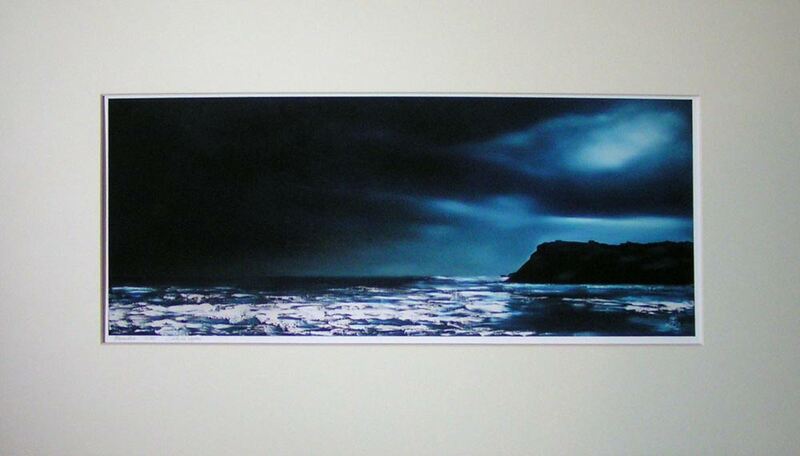 “Ravenstorm”, Robin Hood’s Bay. 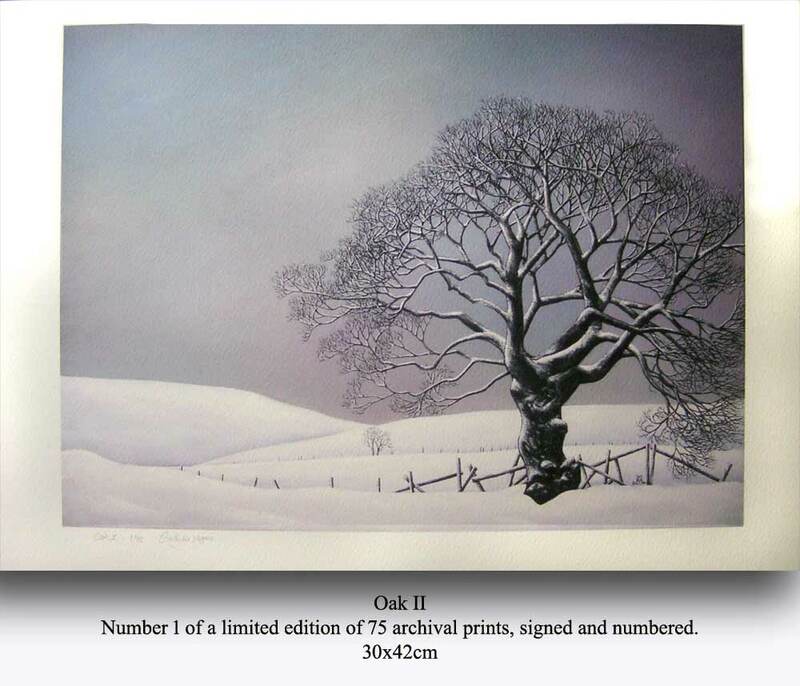 No 12 of a limited edition of 75 archival prints, signed and numbered. 19x50cm print in 45x70cm antique white mount: £75. “Snow”, Robin Hood’s Bay. Photograph. No 7 of an unlimited edition of archival prints, signed and numbered. 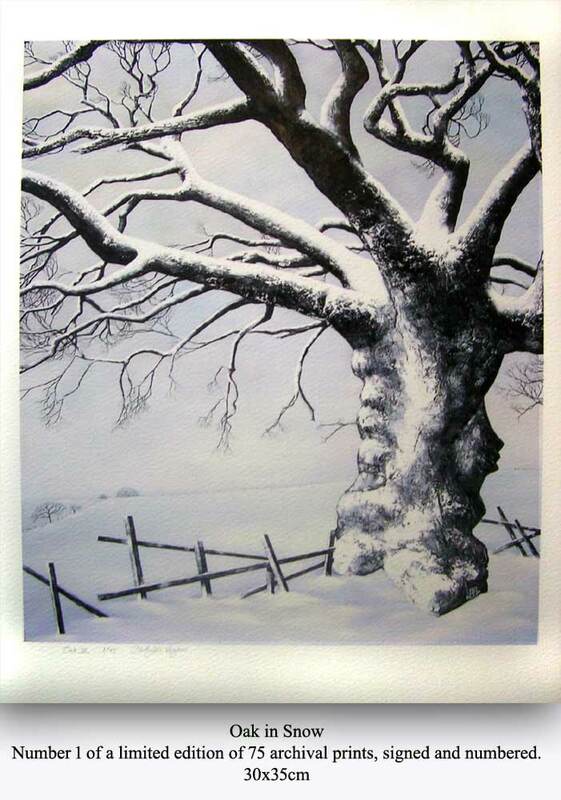 30x50cm print in 50x70cm ivory white mount: £75. 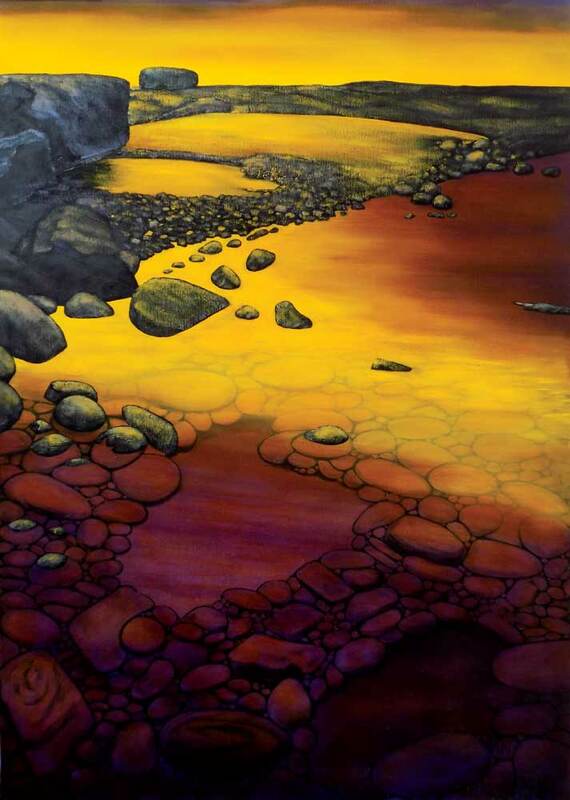 My daughter, Eleana, and I really like your paintings and I already have a lovely print at home. I would really like to buy one of your prints for Eleana for Christmas, ideally of her favourite place win the world – Robin Hoods Bay. I had hoped to get one when we were there this autumn but unfortunately didn’t see any. We live over in South Manchester so can’t easily visit to try and find one so I wonder if it is possible to buy a print directly from you?